Log into your Fonts.com and navigate to the Manage Account area by clicking on "SIGNED IN: your name" in the top navigation. 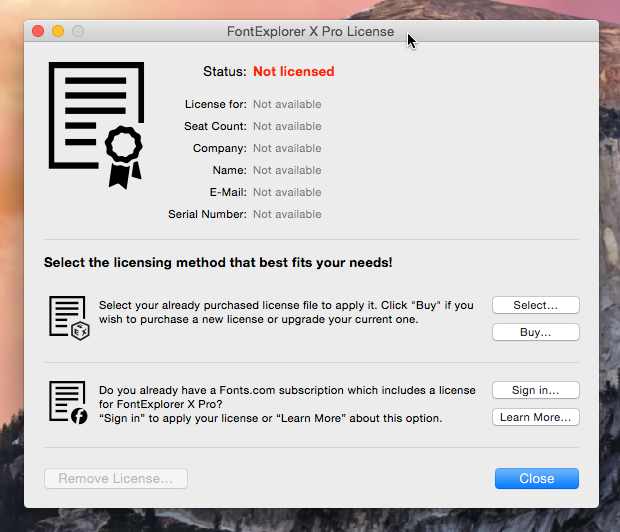 If you're using a Mac, FontExplorer X Pro will ask you for your Fonts.com credentials on installation (see screenshot). These are the same credentials you log into the site with. 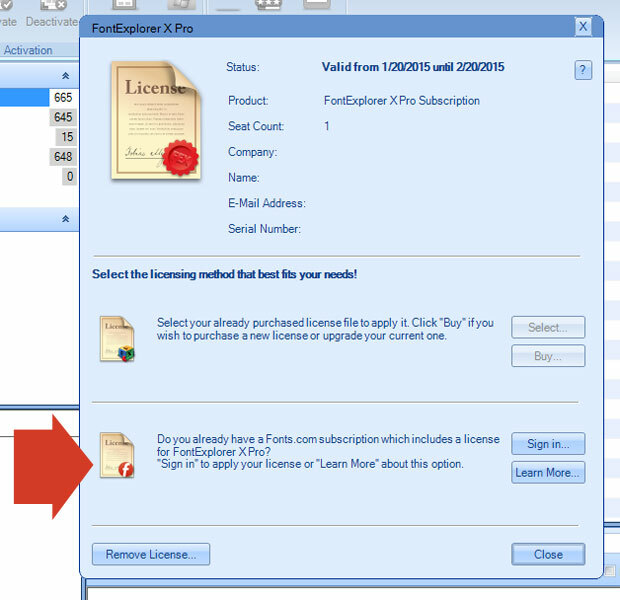 If you're using a PC, you'll have to open FontExplorer X Pro, click the FontExplorer X Icon in the top left of the window, then "Client License". Find the section referring to Fonts.com at the bottom and Sign In using your Fonts.com credentials. Your license will remain active as long as your qualifying Fonts.com Subscription is active.